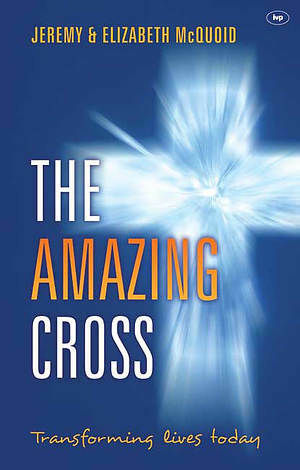 0	0	The Amazing Cross	In Stock - Order before 4pm for same day dispatchWant it on Wednesday 24 April? The cross of Christ is the heartbeat of Christianity. It is a place of pain and horror, wonder and beauty, all at the same time. It is the place where our sin collided gloriously with God's grace. How deep an impact has the cross made on my personality? Do I live in the light of the freedom it has won for me? Am I dying to myself every day, so that I can live for Christ? Do I face suffering with faith and assurance? Can I face death in the light of the hope of the resurrection? The authors present us with a contemporary challenge to place all of our lives, every thought, word and deed, under the shadow of the amazing cross, and allow that cross to transform us here and now. 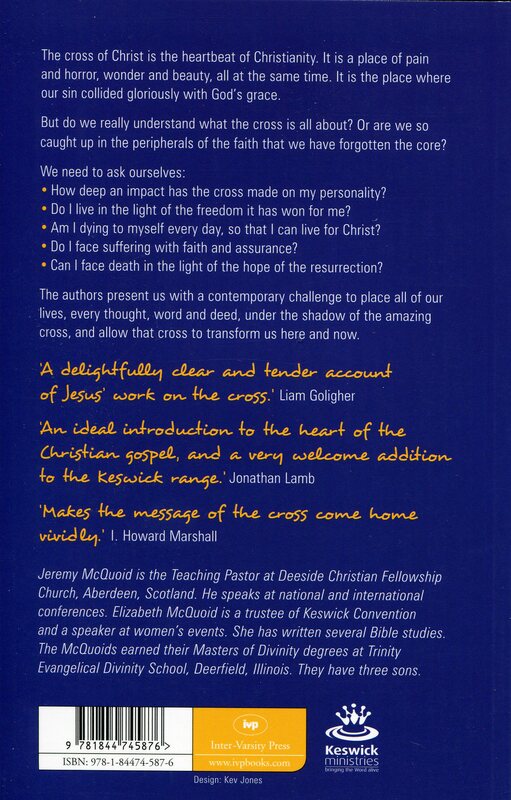 The Amazing Cross by Jeremy and Elizabeth McQuoid was published by IVP in July 2012 and is our 18631st best seller. The ISBN for The Amazing Cross is 9781844745876. At the heart of the Christian faith lies the cross of Christ. At the heart of Keswick ministries lies the priority of the cross of Jesus. The cross of Christ is the irreplaceable heartbeat of Christianity. It is a place of pain and horror, wonder, confidence and mystery, all at the same time. It is the place where our sin is embraced by God's grace and sacrifice. This deep exploration is pacey, accessible and sure to warm the heart and nourish your faith. We need to work out our salvation, and invest in a deep understanding and enjoyment of what God has done for us. The pressure of our culture can distract us from the beauty of Jesus. This will be a rich antidote for struggling faith and an uncertain heart. While there are very many books available on the redemption narrative, here the McQuoids offer a unique warmth and readability about how the Cross is to be applied for the transformation of our lives today. It's accessible material for all types of readers. This is a quality keeper of a read! May it stir you to live a cross-shaped life. Got a question? No problem! Just click here to ask us about The Amazing Cross.